Make Up For Ever Ain't Playin! New Locations: NYC, Vegas, Costa Mesa! I must operate on a different communication system then everyone else, because I coincidently walked into a Blogger Preview Night for the New Make Up For Ever Store in the Sephora - SOHO. I went to Sephora to meet my cousin to play consultant and guide her through her makeup shopping experience. We both got to experience what Make Up For Ever is rolling out across the country. My dear friend and mentor, Michael Devellis, VP of Pro Artist Relations gave me a personal tour of the new space and had me mesmerized! Ok . . . Beauty Studios of NYC....Step Your Game Up! The Make Up For Ever in Sephora will operate just like the legendary boutique in the West Village. Makeup Artists, Hair Stylists, Entertainers etc. can apply and use their Backstage Discount Card at this location. Also there are two other locations opening up within the next 2 weeks in the Sephora stores of Costa Mesa, CA and Las Vegas, NV. The innovation and accessibility of information is endless. There are face charts with color inspiration and product information literally at your finger tips via the IPAD's docked through out the store. These locations will be the mecca of product knowledge and training. Your everyday consumer as well as makeup professional can take classes or sign up for small technique sessions. Most of these opportunities are complimentary with a purchase minimum. I am so impressed with the Choose Your Focus Technique Sessions. The sessions are 20 minutes and are categorized by level. There are other options available for a Complete Personalized Look - 60 Minutes, but I love these short and sweet technique options. It is great because the levels allow everyone to realize what it takes to build up certain makeup skills and applications. It provides structure so a customer is not asking for glitter - Level 3 etc., if you need to build a foundation with the basics - Level 1. The levels are in place to build the knowledge. The store is beautiful and I am in love with the store setup and the companies' vision. I personally love how there are real images of people next to the foundation! This really is amazing and makes it easier for foundation realization. Its much better than a reprinted swatch of color. Also I am in awe and can't wait to take a class using the interactive display. Michael gave me a brief demonstration. It will allow to virtually place makeup on the face. It will also allow you to upload a real image of a face and work directly from that drawing colors and understanding bone structure, etc. Anna and Val (NYC Artists & Educators). The NYC SOHO location officially opens this Friday, October 2nd. Say hello to the staff and my friend Bethany who will be freelancing all weekend! GO MUFE! Congratulations on a job well done! 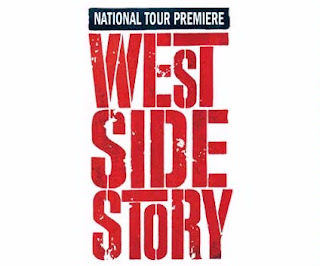 Hello Detroit: Broadway Tour Ticket Giveaway! 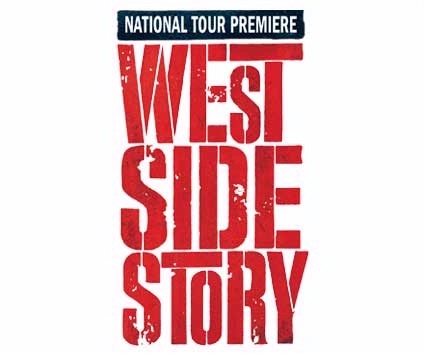 I have 2 tickets available to see the West Side Story Broadway National Tour this Wednesday, September 29th at the Fisher Theater in Detroit, Michigan. See below for information to enter for ticket giveaway. The show is at 8 PM. Entries must be in by Tuesday, September 28th at 9 PM EST. I will select a winner at 10 PM EST. DEADLINE: Tuesday, September 28th 10 PM EST. I don't know where to begin about Friday, September 10, 2010, the Second Annual Fashion's Night Out. The City of New York was the the most invigorating place on Earth. What a perfect place and time to celebrate fashion and all of its unlimited possibilities. I celebrated Fashion's Night Out in Tribeca with designer Anitra Michelle of Plutocracy for her Spring 2011 Presentation entitled "Mythical Mayhem." I love collaborating with fashion desginers and stylists. I took her inspirations and underlying themes and developed a makeup look that would be beautiful, complementary, as well as memorable. I used Face Atelier Cosmetics and Obsessive Compulsive Cosmetics Lip Tars. Look 1 : Skin: FACE Atelier Cosmetics Opal Ultra Sheer. Light wash of OCC Makeup Lip Tar Katricia with Clear. Left Picture: Look 2: Eyes; FACE Atelier Cosmetics Blue Steel Eye Shadow with Transforming Gel. Lip; OCC Makeup Safety Orange mixed with Grandma. I prepped skin with Mario Badescu Herbal Hydrating Serum and EmbryoLisse Usa Lait-Crème Concentrè (24-Hour Miracle Cream). I kept the skin clean and youthful with FACE Atelier Cosmetics Ultra Foundation. Anitra is inspired by fantasy and considers herself a dreamer. She loves lashes and wanted them incorporated into the look. Elements of this look are achievable and are certified for the creatively polished. Plutocracy is a very sophisticated stylish line with appropriate uses of textures and fabrics. Its perfect for the urban fashionista, like myself. I constantly found myself backstage taking notes on all the pieces I wanted. One of the best elements of the Spring 2011 is that the collection can go easily be worn as day wear into evening wear. Mythical Mayhem's key pieces emphasize and embraces the curves of a woman and embody the themes of American design with celebration of individualism and exploration. After the show, I skipped over to Soho where it was packed! I will post more pictures soon. Stay Tuned. As Beauty Editor of Hope Today Magazine, I was fortunate enough to have been invited to the 2010 WEEN Awards held in New York City. This past week, I joined hundreds of amazingly successful women to celebrate the strength of womanhood and honor Esther Silver-Parker, Nia Long, Angie Martinez, Letoya Luckett, Soledad O’Brien, and Hydeia Broadbent! Adrene Ashford, Fashion Editor of Hope Today Magazine, Celebrity Stylist, and owner of House of Adrene in Atlanta, Georgia and I had such a wonderful time at the VIP Cocktail Reception and covering the Pink Carpet. Look for an article at www.hopetodaymagazine.com for a full awards recap very soon. WEEN stands for Women in Entertainment Empowerment Network. I joined their organization through their website several months ago, but now I make the promise to become active. It was a motivating experience and each presenter as well as award recipient had such powerful things to say. I am sure I speak for everyone in attendance. Do I need to say anymore!?! I have always been committed to uplifting my community, but before you be can be the best resource, it is imperative you take time for yourself. That is what gives you the energy to pull someone up with you! I thank WEEN and Hope Today Magazine for such a great night! I met David Klasfeld, makeup artist and owner of OCC in April, 2005 at the International Beauty Show–New York. He had a booth promoting The Powder Group’s 1st annual Makeup Show and two pan lip products. Five years later, David’s line has over 100 products and is still launching new colors and products seasonally. On September 10th (Fashion’s Night Out 2010), OCC will be launching 6 new Lip Tar shades. They are fabulous and I cannot decide which color is my favorite!! I can’t wait to see these colors shape the trends for New York Fashion Week. From left to right: Harlot, Strumpet, Trolley, Strutter, Stalker, and Trick. Lip tar has the strongest pigment ever which makes it like a lipstick, but has the sheen of a satin-like gloss. A little goes a long way. Check out the entire Lip Tar Collection at www.occmakeup.com. Also the OCC Brush Collection will be launching soon. The brushes as well as the entire OCC line are Vegan friendly. Simply impressive! I use David’s products in my makeup kit. He is a great friend, generous artist, and a true inspiration. Visit www.occmakeup.com or the OCC Studio in the Chelsea District of New York City. FYI: I am wearing OCC Strutter in my Welcome to B Stands for Beauty Video!